A collection of LGBT+ GIFs – including cuddly bears in leather harnesses and lesbian heroines – were shared more than one billion times during Pride Month in June. The animated gay GIFs, which also include a muscle-flexing unicorn and a “horny” rhino daddy, went viral on social media last month. View all the GIFs here. Instagram and Facebook users across the world shared the GIFs, created by UK artist Phil Corbett, millions of times on their stories. 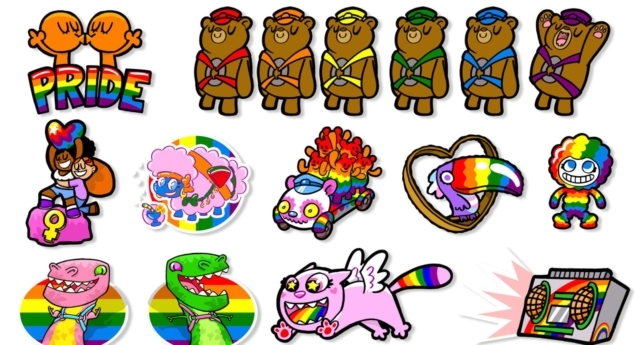 The GIFs include six bears, each wearing a harness coloured with a stripe from the Pride; a dancing dinosaur; a transforming animal; a rainbow-themed boombox; a pair of flamingos; and a flying cat with a rainbow-detailed tail and tongue. Corbett, who is based in Brighton, was asked to draw-up the animated images by GIPHY, an online database and search engine for GIFs. Corbett’s GIFs continue to be hugely popular this month and, with Pride in London’s parade on Saturday, they’re set to be shared a lot over the weekend. Corbett has previously worked for Cartoon Network, Nickelodeon, Sony, Nintendo and Cadbury’s. He also contributed artwork to the gay dating and virtual pet app, Mini Gay Boyfriend. Pride in London’s iconic parade will be held on Saturday, with up to a million people expected to attend. If you’re planning to go along, here’s all you need to know. Transport for London (TfL) has painted underground roundels and benches with the Pride-colours – using the trans flag for the first time – in the run-up to the event. Meanwhile, Eurostar has painted a rainbow on its platform at St Pancras International to welcome revellers to Pride in London. 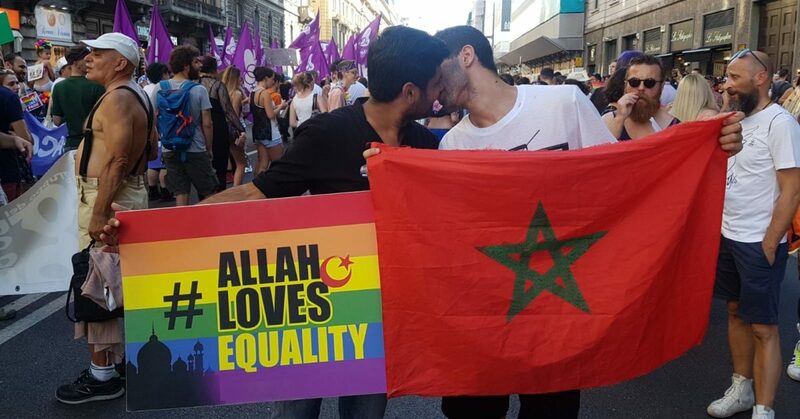 Peter Tatchell: Why is London Pride so small compared to rest of the world?